Marscco® was formed in 2008 to assist research providers, government and private industry with baseline surveys, impact assessment and monitoring specific to aquatic environments, including freshwater, estuarine and marine inshore/offshore habitats. Marscco also provides targeted training in various aspects of monitoring and baseline research, especially fish biology, ecology, diversity, and seasonal and spatial abundance. Projects are managed from design and inception to data analysis and final reporting. 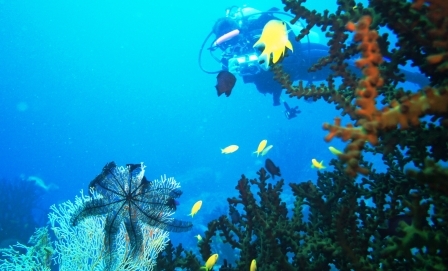 These cover a range of Specialised Services, including environmental effects of fishing as well as mining and gas exploration and production activities; Baseline Surveys to underpin environmental impact assessments; collection and use of data on early stage fishes (Eggs and Larvae) as biological and habitat impact indicators; and egg-based Fisheries assessments to estimate biomass of pelagic fish stocks. Services provided are based on 38 years of experience working on a wide range of scientific research projects in Antarctica, Australia, Chile and Papua New Guinea. Disclaimer: This website is provided "as is" without any representations or warranties, express or implied. Marscco makes no representations or warranties in relation to this website or the information and materials provided on this website. Without prejudice to the generality of the foregoing paragraph, Marscco does not warrant that (a) this website will be constantly available, or available at all; or (b) the information on this website is complete, true, accurate or non-misleading. Nothing on this website constitutes, or is meant to constitute, advice of any kind.